UK Coach Hire Services by Speedo Travel - Offer pick up to and from hotels, airports, train stations or anywhere you desire. 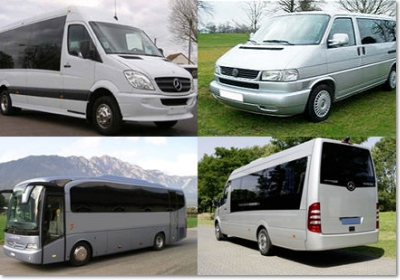 We have more than 10 years' experience in providing coach hire services and we also specialise in arranging customised tours specifically tailored to your individual interests and requirements. Whatever you are looking for we can help - sightseeing tours of London, day tours, extended tours of England, Scotland and Wales, themed tours or corporate group travel. We aim to ensure that your visit with us is truly a memorable one. Also for those with a foreign language, we can arrange tours in a language that suits you. Tailored made holiday packages to suit any group organisers' requirements both UK & Europe. We offer 16 seater luxury mini-coaches to 52 seater full sized coaches, all with air conditioning and blinds for that extra privacy. Arriving in an unfamiliar country after a long distance flight can be stressful. All you really want to do is to get to your destination smoothly. Heathrow Airport is located some 20 miles outside central London. Although there are rail, coach and taxi links into the city centre, it can be easier and cheaper to pre-arrange a personal transfer service, especially for a large family or group. Our courier will collect you from Arrivals and guide you through the airport to a private vehicle dedicated to you and no-one else. If you have not used us before, why not give us a try. We search around for the most economical and yet most professional coach operators, so you can just sit back rest assured that you will get the best deal.